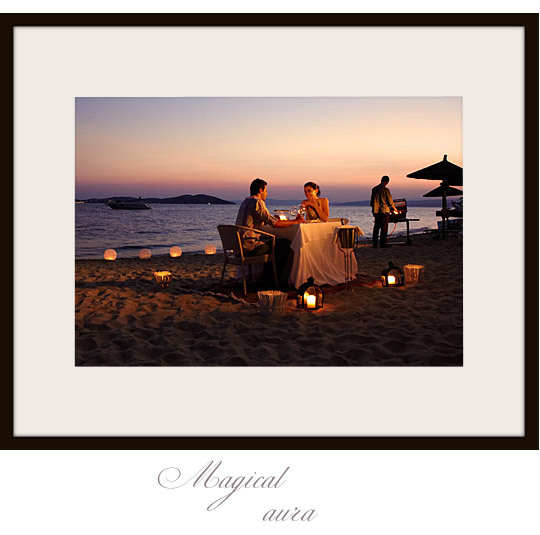 Dream of the perfect setting…a cosy and romantic private spot, the summer breeze on your skin and in front of you the overwhelming view of a sunset sinking in the sea or hiding behind the shadow of an island…You are in Greece! 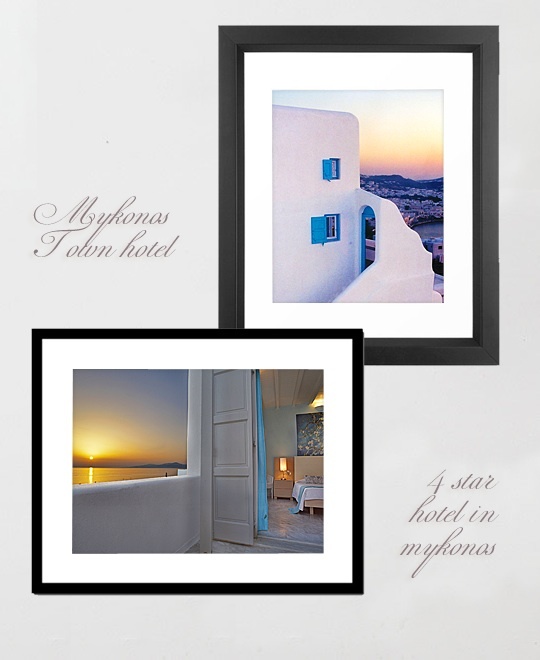 Against the magical backdrop of Caldera, sunsets in Santorini are definitely a form of art…Relish the best sunset view from the Canaves Oia Santorini luxury hotel private restaurant (with only 2 tables).. If you wish for the magic to last longer, enjoy a 5-hour sunset cruise savouring the moments of the mesmerizing sunset, while the professionals of Sunset Oia Santorini sailing yacht rentals take care of all the details. 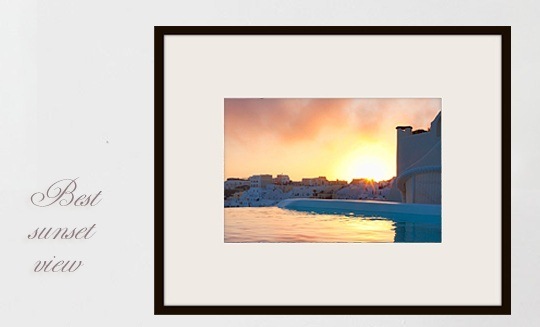 While Mykonos is considered to be the ultimate party destination, it is also an island of unparalleled beauty and romanticism. 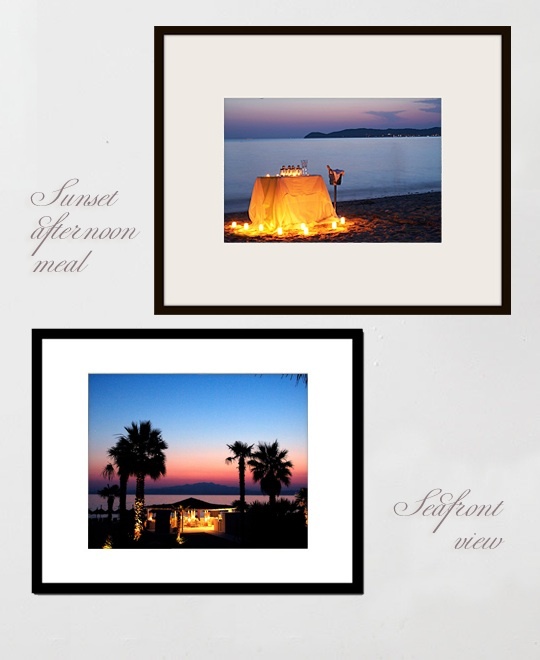 Discover how the sunset majestically emerges right before your eyes from a hotel’s pool and lounge area..
Watch the sun sink into the sea from the private gold sandy beach in the 5 star hotel & spa in Halkidiki , Eagles Palace Hotel & Spa. 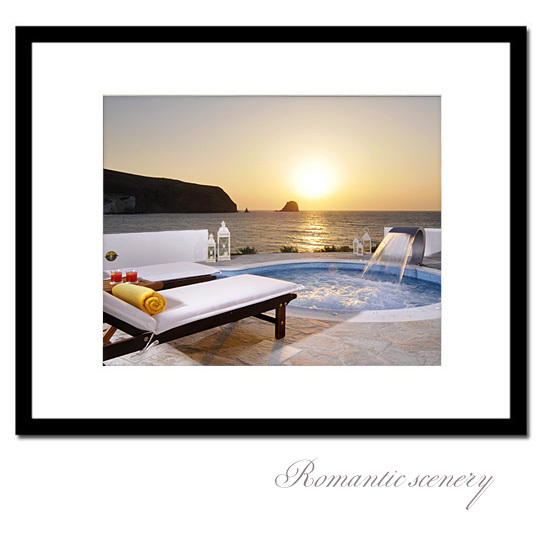 The most romantic sunset can be seen from the outdoor Jacuzzi at the Melian Boutique Hotel & Spa terrace with the companionship of a glass of fine wine, a miraculous boutique hotel & spa in Milos and surely one of the best hotels in Milos. Braunis Horio Villas, exclusive luxury villas on Kefalonia , with a unique selection of fine, newly built villas perched on a hill of the graphic Assos in Kefalonia, is renowned for the most breathtaking sunset of the Ionian…Right at the moment where the day meets the night, let the magic of the sunset view unfold in front of you! 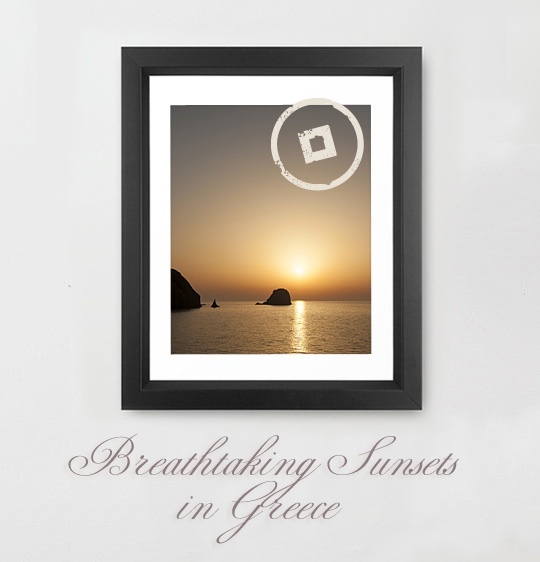 Whatever your taste, sunsets all over Greece will definitely charm you. What would it be more splendid and lucent? 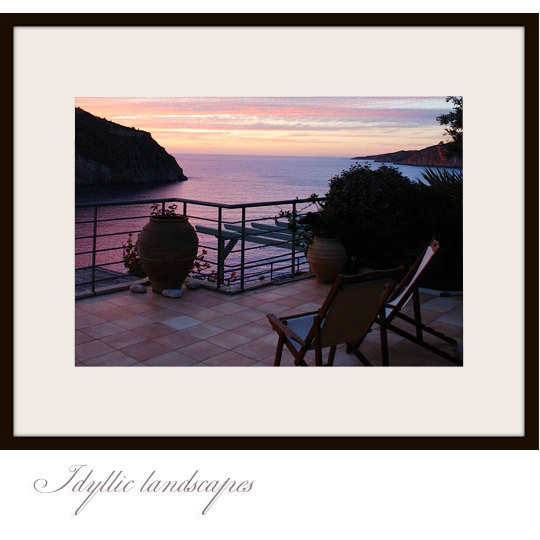 This entry was posted in Cyclades Islands, Cycladia Posts, Destinations, Halkidiki, Ionian Islands, Thassos. Bookmark the permalink.